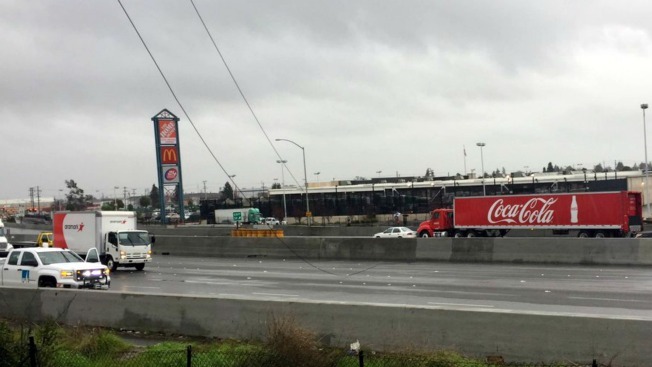 A big rig on city streets struck a utility pole causing downed power lines to shut down Interstate Highway 880 in Oakland at High Street on Tuesday, the California Highway reported. Northbound lanes were re-opened at 1:40 p.m., the CHP tweeted. Southbound lanes opened roughly five minutes later. The incident was reported about 12:50 a.m.